The Fountains is a centrally located venue for your next meeting, conference or retreat. Nestled in the Crossroads of Delmarva between the Atlantic Ocean and the Chesapeake Bay with easy access to hotels and parking. 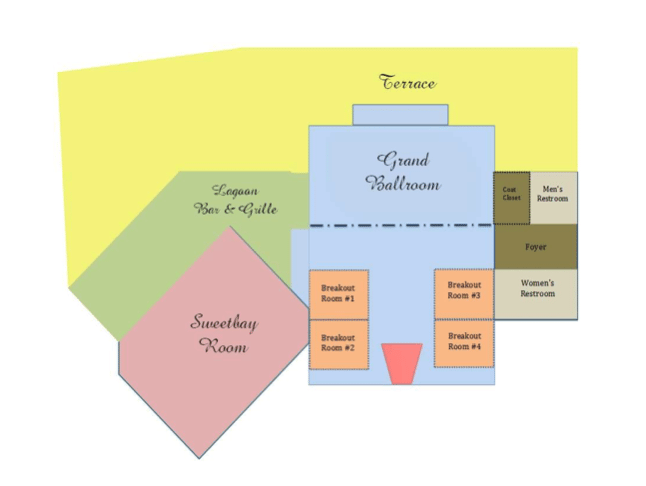 The conference center is an extraordinary 9,000 square –foot convention and meeting facility equipped to handle events of all sizes, from small groups and breakout meetings to events up to 700 lecture style. The most state- of-the-art venue on the lower shore, the Fountains includes a range of exhibit spaces and flexible meeting space with a total of 10+ breakout rooms. The Fountains not only provides a unique setting but the convenience, value and hospitality you expect.